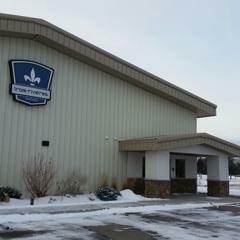 Trois-Riviéres Training is a private athlete training center located one mile south of I-94 and Highway 15 in St. Cloud, Minnesota. 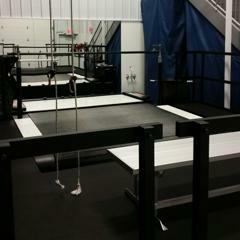 We specialize in strength & conditioning for all sports and sport-specific skill training for Hockey. 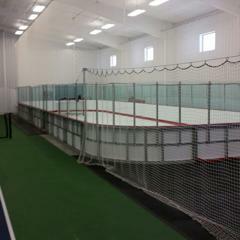 Our 14,820 square foot facility includes a synthetic ice rink, Woodway Blade Skating Treadmill, a 46'x110' indoor turf field and a 3,600 square foot weight room. 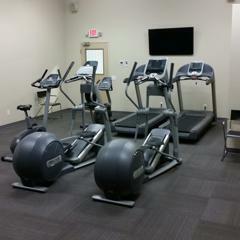 We offer both off-season and in-season training for athletes from all sports and schools around central Minnesota. Our coaches and trainers are dedicated to making your athlete "Better Every Day"! The French word Trois-Riviéres (trwä-ri-‘vyer) translates to three rivers in English. The number three is important for the development of an athlete where key areas of athletic development, skill development and mental performance are improved in our training programs. Like a river, the seasoned athlete is fluid and constantly changing and evolving. ©2019 Trois-Rivieres Training, LLC / SportsEngine. All Rights Reserved.